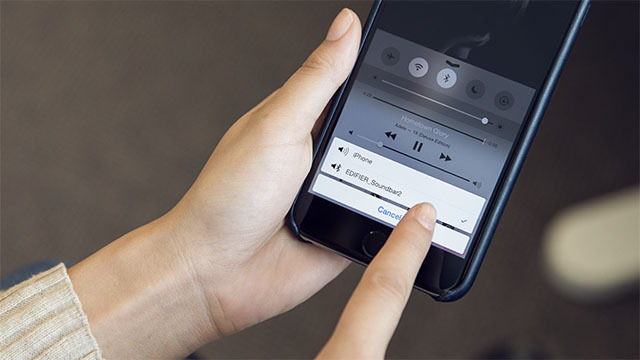 To connect Edifier speakers to an iOS system you first need to make sure you have the latest software and that both devices are fully charged. You will need to turn on the speaker and access settings on your iPhone, iPad or iPod touch. There you will find Bluetooth settings. Turn your Bluetooth on and wait as your device searches for other devices that also have Bluetooth turned on. Locate your speaker on the page and select it. Your device will start pairing to the speaker. If the speaker does not connect on the first try, select “forget device” and attempt again. You are now ready to use your speaker. Current and recent generations of iMacs, Macbooks and Mac Pro's are equipped with Bluetooth. You can stream music to a speaker from your computer. Select system preferences and click on Bluetooth. Turn it on and it will automatically start searching for other Bluetooth devices in the room. Click the name of your Edifier speaker and it will automatically start to sync. Depending on the speaker a light may change colour or turn on to indicate it has synced successfully. Open start and locate you control panel to set up your Edifier speaker Bluetooth connection. Use the control panel search box to find Bluetooth. Click “Change Bluetooth settings.” It will bring you to a page where you can select options and allow devices to find your computer via Bluetooth. This should enable you to connect an Edifier speaker to your Windows system.